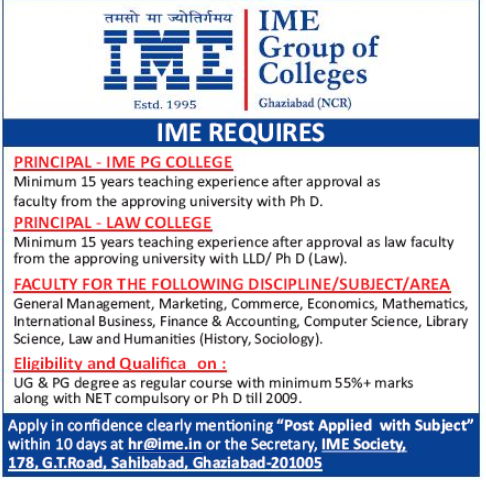 IME Group of Colleges, Ghaziabad has advertised in The Hindustan Times newspaper for the recruitment of Faculty plus Principal job vacancies. Interested and eligible job aspirants are requested to apply with in 10 days. Learn further more details below.